Fans of NBC’s hit drama This Is Us got more than they bargained for on this week’s shocking fall finale. ‘Cause here’s the thing about this series — you can never pat yourself on the back for making it through the episode when there is still enough time for an end-of-episode montage. Those montages can pack a punch, and Tuesday’s mid-season finale was the montage to end all montages, especially when it comes to This Is Us. Spoiler alert: We’ll be talking about the midseason finale of This Is Us and what to expect when the show returns based on what we saw. Here’s what you can expect the drama to delve into when it returns in January. Let’s start with the obvious mind-blowing revelation, shall we? Jack Pearson’s brother and fellow Vietnam vet, Nicky, presumed to have died in the war, is actually alive and living practically around the corner from the Pearsons in Pennsylvania. To be honest, we still haven’t wrapped our brains entirely around this information. On the plus side, veteran actor Griffin Dunne will be taking over the role moving forward. On the downside, we’ll have to keep stooping down to pick up our jaws every time we learn something new and shocking about Jack and Nicky’s relationship, which we suspect will be often. 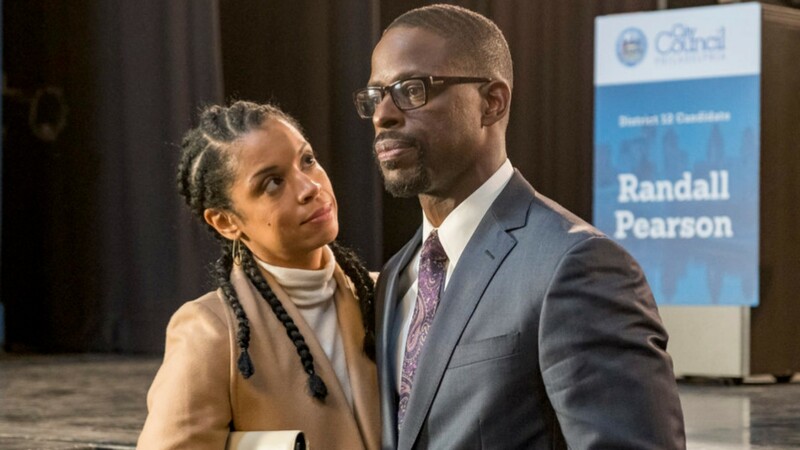 In an interview with The Hollywood Reporter following the finale, co-showrunner Isaac Aptaker indicated This Is Us won’t waste any time jumping right back into the Nicky subplot. Exercise caution when ‘shipping Kevin and Zoe, warns co-showrunner Elizabeth Berger. Although the Vietnam trip certainly helped move their relationship forward, things may not be entirely smooth sailing when we see them in January. “So, yeah, I think it’s safe to say that they’re coming home closer than ever. But obviously, Zoe has a really complicated past and closeness in itself may continue to be an issue as they move forward together,” Berger told THR. Let’s all go ahead and breathe a collective sigh of relief, because the final few moments of the episode confirm future Beth is indeed still alive. However, the fall finale seemed to suggest that perhaps she is no longer married to Randall given that she was shown at work (she’s apparently found a new calling running a dance company in the future timeline) and keeps very cool about having to go see Rebecca in the hospital, referring to her as “Randall’s mother.” While the showrunners are staying tight-lipped on this for now, Aptaker admits fans will learn the answers — eventually. At least one mystery was solved before This Is Us broke for the holidays. The flash-forwards that have all been about “her,” which began in season two, actually pointed toward Randall and his daughter (with Toby and Beth eventually being called on to visit) going to see Rebecca. If that flash confirming Rebecca makes you think you’ll find out what’s going on with future her relatively fast, well, think again. All these future developments seem to hinge on what happens with Randall in the here and now. Will this election literally cost him his marriage? Although Fogelman played coy with Deadline when asked about the reveal that Toby and Kate are having a boy, he did hint that the audience should never let their guard down when it comes to this fan-favorite couple. “I think life is full of a lot of different colors, and many of them are incredibly joyous and happy, and a lot of them are sad and upsetting. So I think everything about this pregnancy has been difficult, and I think it’s always uncomfortable to allow yourself to relax too much as an audience member. Just like it is for Toby and Kate,” Fogelman said. However, he does add that he and the writers are “not masochists,” so there’s that.